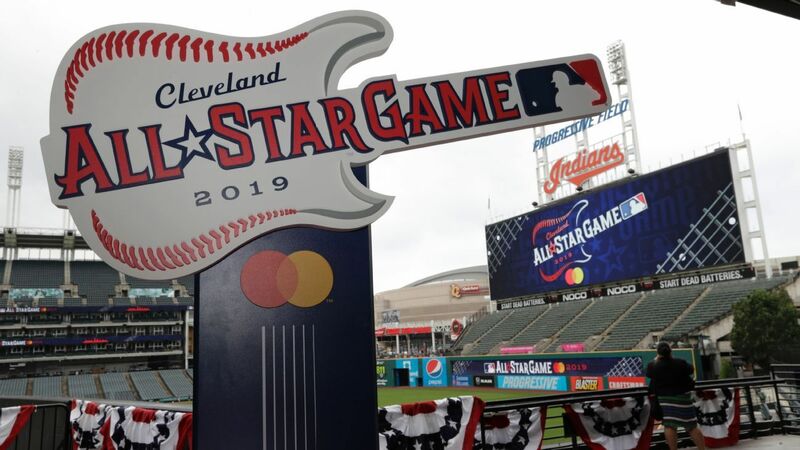 The Cleveland Indians went the rock ‘n’ roll route with a logo for the 2019 All-Star Game. Inspired by the city’s deep musical roots, the team on Tuesday unveiled its logo for next year’s game; a guitar outlined with red baseball stitches. The Indians are hosting the Midsummer Classic for the sixth time, and next year’s game coincides with the 25th anniversary of Progressive Field. Cleveland hosted the 1997 game at its downtown ballpark, just a short drive from the Rock & Roll Hall of Fame.